With three separate compartments for organization, the Flight Laptop Briefcase is a sophisticated solution for international travel or daily business commute. Its durable materials, Checkpoint Friendly design and space for up to a 16-inch laptop make the Flight a nice perk for the frequent flyer. 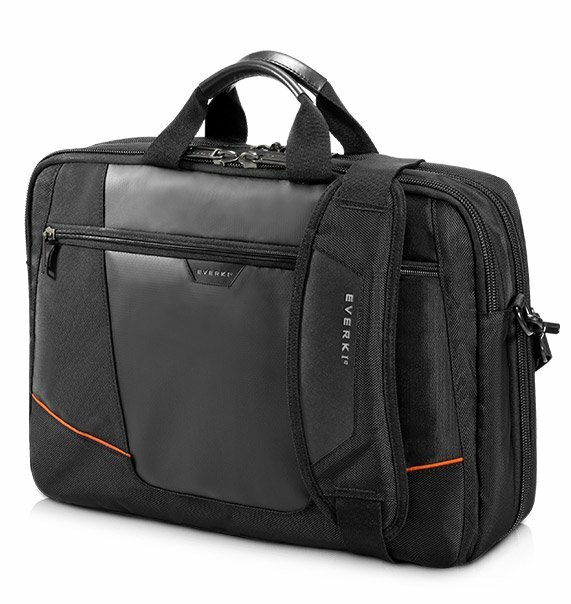 The Flight series of laptop bags is designed with organization and carrying capacity in mind. They are rugged enough for the seasoned road warrior, yet sleek enough for the mobile professional. The Checkpoint Friendly design allows you to effortlessly sail through security checkpoints and makes the bags perfect for frequent flyers. These laptop bags capably handle all your technology needs, with a dedicated laptop compartment and an iPad/Kindle/tablet pocket that are lined with super-soft felt. The Flight bags maintain a compact profile, and have well thought-out spots for just about everything you could want to take with you on a trip or on your daily commute to the office. With high quality materials, durable construction and well executed features, the Flight series of bags ensures that you’re always ready for takeoff. 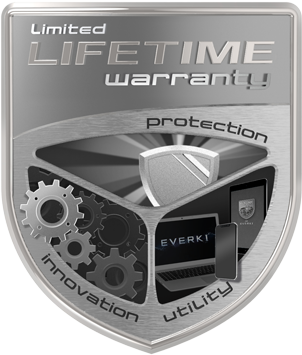 EVERKI’s travel-ready laptop briefcase for the mobile professional. The Flight Briefcase is the sophisticated side of the Flight Backpack. 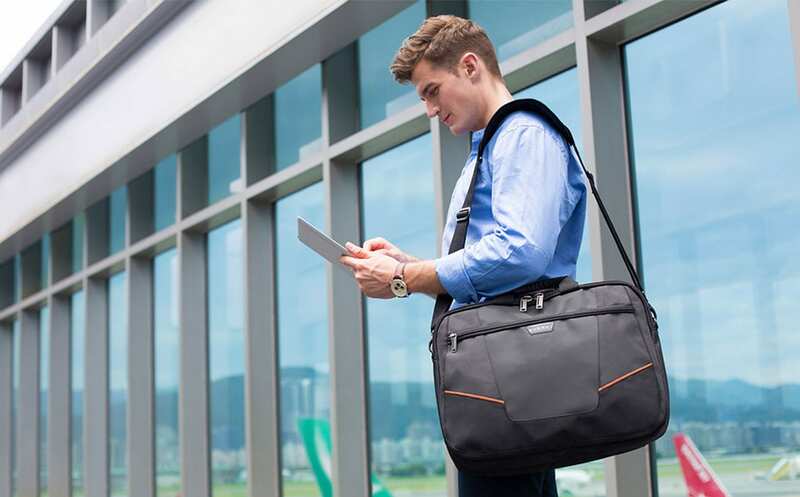 Its durable materials and three-compartment design make it perfect for business flights or your daily commute. 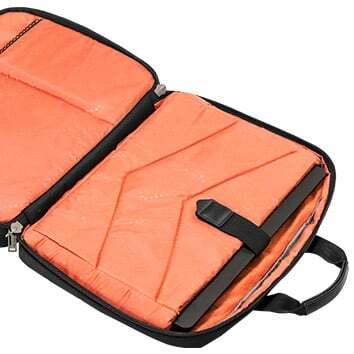 With a dedicated Checkpoint Friendly technology compartment, you’ll feel confident when you stow your laptop and tablet safely and securely in the super-soft signature orange felt interior. A second large compartment lets you take along paperwork, external devices, and travel accessories, and also sports pockets, pouches and slots for pens, business cards and phone. The smaller, zippered front compartment allows you to keep passports and other travel documents close at hand for a stress-free journey, wherever the destination. The Flight Briefcase comes equipped with a dedicated technology compartment that’s Checkpoint Friendly. Simply open the Flight up 180 degrees, lay it flat, and your bag will quickly pass through the scanner. Should you need to remove your laptop, you can access it easily without removing other contents. The technology compartment includes a separate, fully lined tablet pocket to safely carry your iPad or Kindle. Super-soft felt will keep your tablet safe and secure, and your device won’t rub against anything else in your briefcase. 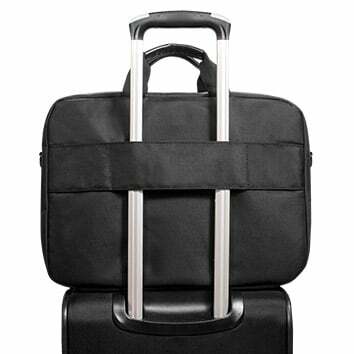 When traveling with many bags, the trolley handle pass-through on the back of the Flight Briefcase allows you to double your efforts. Simply slip the Flight onto the handle of your luggage and you’re ready to wheel through the airport. The Flight Briefcase is built for comfort, even with a full load. 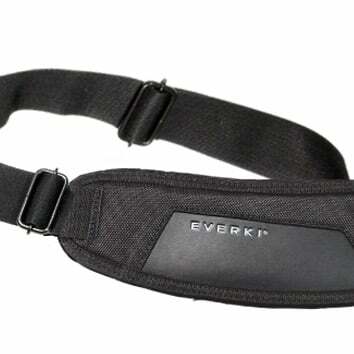 An ergonomic, two-way adjustable shoulder strap allows fine adjustments for maximum comfort, and its wide, soft shoulder pad prevents slipping and pitches in to absorb some of the weight. First the Titan, then the Flight briefcase and now for my daily use, its the Flight backpack. At first I wanted to get the Atlas but here in Malaysia, we are kinda slow in receiving new models for most products released. All my Everki bags are checkpoint friendly and I am very satisfied with the overall quality and design of each one of them. Being a luxury product salesman, I find no other bags in the same price range (in Malaysia, where other 'backpack established brand' are pretty much overpriced) which looked as professional as the Everkis'. When I carry them, I don't look like a college student nor do I look like an IT staff. Of course I could go for something like Tum or Samso or Bri & Ri backpacks, but the problem is here, those are made for people who might even have nothing in their bags except for papers and documents. Everki compartment design however manages to provide us with loads of option to keep stuff properly. In my bag on a daily basis is a 15 laptop and its chager, an ipad, an ipod, backup batteries for two of my 5.5 smartphones (LG Optimus G Pro and Galaxy Note 2), a 15,600mAh power bank, 6 microUSB cables, 2 lightning cables, a couple of USB flash drive, a 500gb external harddrive, 2 USB chargers and a full size travelling headphones. This doesnt include 2 thick product brochures, miscellaneous accessories pamphlet and also an organizer to scribe notes. The strap holds well although more cushioning could be added or a breathable design on the strap or the back of the bag to help with airflow. Living in Malaysia, the humidity and the heat will definitely make for uncomfortable travel with backpacks without airflow oriented design. Padding and comfort was good, tons of compartment for keeping my ipad, ipod, electronic devices, chargers, cables, battery powerbank, product brochures, water bottles, keys, pens and my other sales tool. The top grip to carry the bag also feels durable as when I carry it with all my equipments inside. The only thing essential missing I think on the Flight backpack is the rain cover, which i think would be perfect if Everki were to include in all of their backpack design. Other than that its a brilliant design backpack.